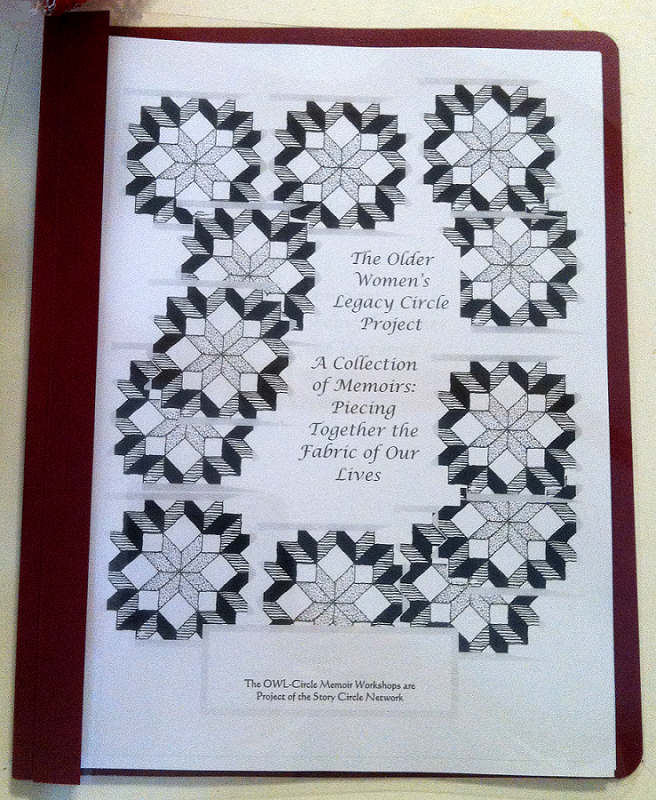 Owl Creek Gazette: OWL (Older Women's Legacy) Memoir Writing Workshop Announced! 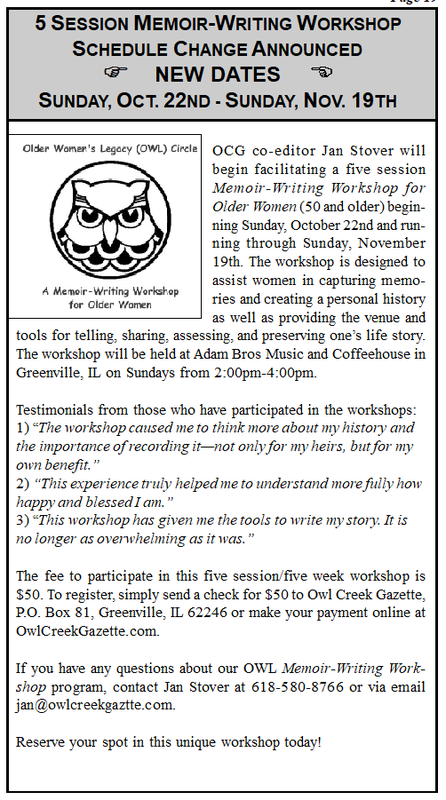 OWL (Older Women's Legacy) Memoir Writing Workshop Announced! and will be announced soon!!! 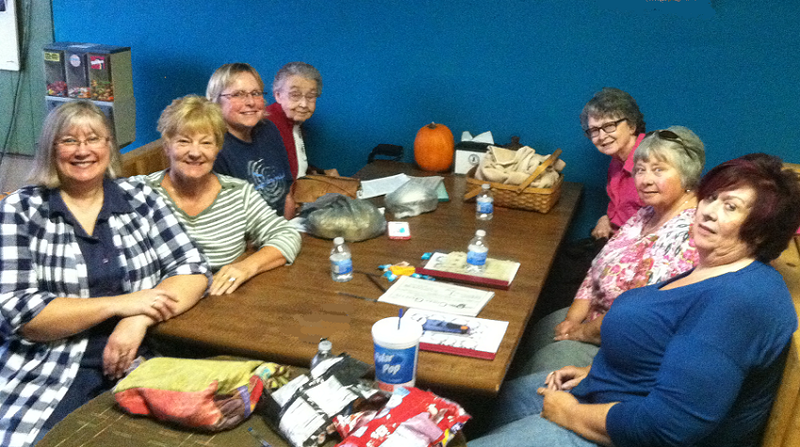 Photos from our October/November OWL Memoir Writing Workshop! and OCG co-editor, Jan Stover (on left)! 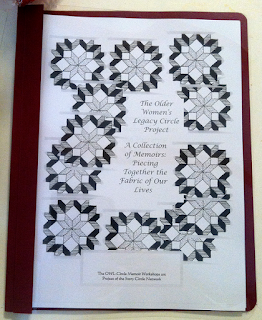 The Workshop Instruction Book ... a wonderful guide to telling your life story!